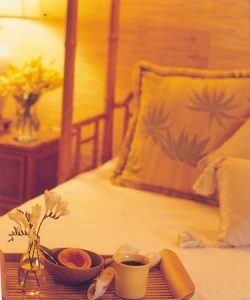 Capture the True Essence of Island Living from your own Beachfront Maui Villa Ideally located at Wor1d-Famous Lahaina . . . Just Steps to the Sand! 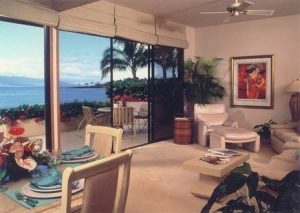 Wake to the Sound of the Gentle Surf Just Outside your Own Private Lanai at the Luxurious Estates at Punoa . . . Featuring only 10 Exclusive Luxury Townhomes set in your Own Private Oceanfront Enclave. Privacy & Elegance awaits your Vacation Pleasure, with your Choice of Spacious 2-Bedroom or 3-Bedroom + Loft Oceanfront Maui Residences Featuring Stunning Views of the Sparkling Blue Pacific. Experience Gracious Resort Living at your Own Private Beachfront Villa, Nestled on the Estate’s three tropically landscaped acres – Each with its own Private Beachfront Lanai – as Golden Sunsets Flow through the Floor-to-Ceiling Glass Windows. Your Oceanfront Maui Vacation Residence Features Every Amenity and Service to Ensure a Truly Luxurious Vacation, with Exquisite Appointments that Showcase vaulted Ceilings, Rare Koa Wood and works of local Artisans Creating the Elegance of a Refined Island Home. Additional Amenities Feature Sunken-Tiled Whirlpool Tubs, In-Suite Washer/Dryers, Wet Bars, Double-Sized Private Lanais, Fully-Equipped Kitchens, Central A/C, Housekeeping Service and on-site Concierge. For your Added Vacation Pleasure, take a Leisurely Stroll on our Gorgeous White-Sand Beach – Simply Ideal for Swimming & Snorkeling – as you gaze across the Aquamarine Blue Pacific framed by the Islands of Molokai & Lanai. For your additional enjoyment, take a Refreshing Swim in the Oceanfront Pool, Relax in the Whirlpool Spa and Sauna, then prepare your favorite meal on our Gas BBQ’S, as another Breathtaking Sunset Lights up the Sky! Your Maui Beachfront Vacation Villa Getaway is just a Short Walk to World-Famous Lahaina . . . Featuring an International Array of Shops, Restaurants and beautiful Galleries. Capture the True Essence of Island Living form your own Maui Beachfront Villa . . . 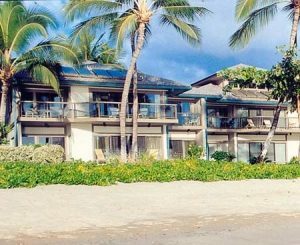 Ideally Located on the Sand at World-Famous Lahaina . . . at the Stunning Estates at Punoa. Stunning Beachfront Locale . . . Luxury Townhomes…Just Steps to the Sand! Private & Elegant Beach Villas . . .
Mile-Long Sandy Beach . . .
Breathtaking Beachfront Setting . . .
Showcasing Only 10 Exclusive Luxury Villas . . . Nestled on a Private 3-Acre Estate. Captures the True Essence of Island Living . . . Every Villa has its own Private Beachfront Lanai. Stunning Appointments Featuring Vaulted Ceilings & Rare Koa Woods . . . Creating the Elegance of a Fine Island Home. Private & Elegant Ambience . . . Just Steps to the Sand!